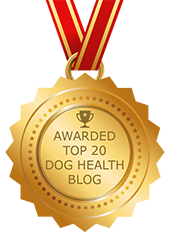 More Than Meets The Eye: Dog Language And Beyond Part II | Dawg Business: It's Your Dog's Health! I find it interesting that while we humans are having a hard time understanding and communicating with our dogs, they seem to see through us like glass. Did you ever notice that? Of course, we do manage to confuse our dogs, but it takes quite a bit of effort on our part. One of the main reasons is our reliance on spoken language. And yet, scientifically, only about 7% of our own communication is carried out by our words! Here are some of the most common things we do that hinder our communication with our dogs. If only such a small portion of our communication happens verbally, what about the other 93%? That is a good question. Whether we are aware of it or not, the majority of our own communication is carried out non-verbally, through our body language and tone of voice. That is also what our dogs pay most attention to. That is how your dog can tell whether your come means “come here sweetie, I got something good for you” or whether it means “get over here you little mutt, I will teach you a lesson”. Is it a surprise that your dog will do his best not comply with the latter? Unfortunately for us, our dogs pay more attention to what we mean than to what we say. But wait, it gets even more complicated. So it happens that there are some major differences between the primate and canine body language vocabularies. If you're standing tall, facing your dog while calling him, you are sending a very mixed message. Your words invite your dog to come to you, but your body tells him to stay right where he is. While your dog will learn to respond to your come in spite of your conflicting nonverbal message, it would be much easier for both of you, if you learned to adjust your body language to what your dog naturally understands as an invitation. Patricia McConnel, Ph.D. explains these differences with great insight in her The Other End of the Leash: Why We Do What We Do Around Dogs. Dogs are social animals and they will do their best to figure out what we want. They will try really hard to accommodate our need to communicate verbally. But in order for them to be able to learn the meaning of our words, the meaning needs to be introduced properly. When teaching a child, you will show an apple and say apple. The child will then make the connection between the object and the word: 'this roundish red thingy is called apple'. Until the association is made, the word apple means anything and nothing. However, when teaching our dogs, we often encourage wrong associations. Creating associations is about labeling. You cannot put a label on something that is not present. I have seen many people teaching sit by saying sit first and then trying to get their dog to perform the request. How is the dog to understand what the word sit is supposed to mean? It is a good practice to acquire the desired behavior first and then label it. Remember that your dog will associate the word with whatever he's doing at the time you said it! Unlike Snow White, your dog will know a poison apple and won't have anything to do with it if he can help it! Have you ever heard the advice never use a recall word to punish your dog or to do something to him that he won't like, such as giving a bath or brushing teeth? That is the reason for that. 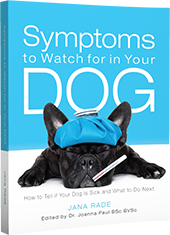 If your dog learns that the recall is followed by something unpleasant, he will avoid it. This can happen with any command, but the recall is the most vulnerable one. It is a good idea to keep your commands simple. Many dogs will respond only to the last word said in the sequence. This means that if you say sit down, your dog is more likely to perform the down command than to sit. Stanley Coren had a great example in one of his books. An owner, who couldn't make it to an obedience class that day, sent his son instead. Very quickly the son got quite frustrated with the dog being dumb and not responding to his commands at all. The trainer wanted to see what's happening, so he asked the son to get his dog to sit. “Come on and sit down,” the son requested from the dog. The dog looked at him with bewildered eyes and started half-crawling half-walking towards them, whimpering. This dog wasn't stupid at all, on the contrary. He noted all of the three conflicting commands introduced in the sentence and made a desperate attempt to perform all of them at once as requested. The effort our dogs put into getting along with us is truly amazing. When you think that your dog is being dumb or stubborn, please take another look at the situation. Most of the time it is our fault and not theirs. I adore this article; I wish more owners were as up to date on this sort of things as you are. I also still wish you were a dog trainer; I love the examples you use, and how easy they are to relate to real life. We all do some of the bad-body-language type things, and sometimes we need it pointed out to us. So I commented now. Before work. Also, read part one and loved that, too. ...But not too good, cause then you'll just make me look bad. =D You're way amazing at this. I enjoyed reading your post a lot. One of the things I like about learning new things in dog training (in a class or for yourself), is that you need to pay so much attention to your dog if you want to have results. Body language, what mood is he in, calm or excited? You want to learn your pup maybe some basic obedience like sit and stay or more advanced tracking and rescue, but to get there, you first need to learn a lot yourself about "dog language" and what state of mind your pup is in and how you you can use that in your own communication to the pup. Notice small differences and reactions and reflect that on yourself, what did I just did different, that make my pup react differently? To get results, you can bully your pup, he will understand at the end (at least to some extend). Unfortunately I see that a lot in training classes, they usually don't come back for a 2nd class or get further then "sit" and "down" ... But it is so much more rewarding and fun, when your pup does it because you are team, and you love to work together. Thank you guy so much for reading and commenting. Glad you enjoy my blog!